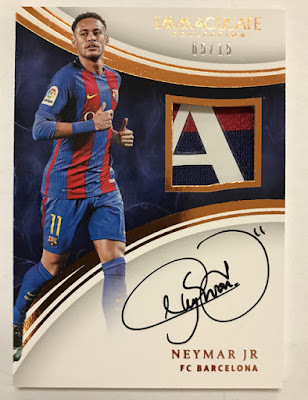 As you’ll see in the preview below, 2017 Immaculate Soccer lives up to the lofty expectations created by the Panini Immaculate brand with its own star-studded blend of memorabilia and autographs from the biggest superstars in the game. 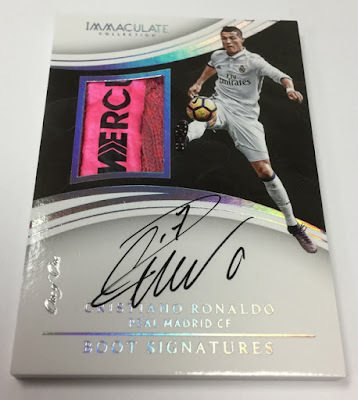 On average, each box of 2017 Immaculate Soccer (six cards per box, five boxes per case) will deliver one base or parallel card, two autographs, two memorabilia cards and one additional autograph or memorabilia card. As you would expect, the product is filled with highlights, including . . .
1. Twelve different on-card autograph inserts, including Celebration Signatures, Immaculate Moments, All Time Greats and Shadowbox Signatures. 2. Autograph inserts that feature patches from jerseys, shoes and more. 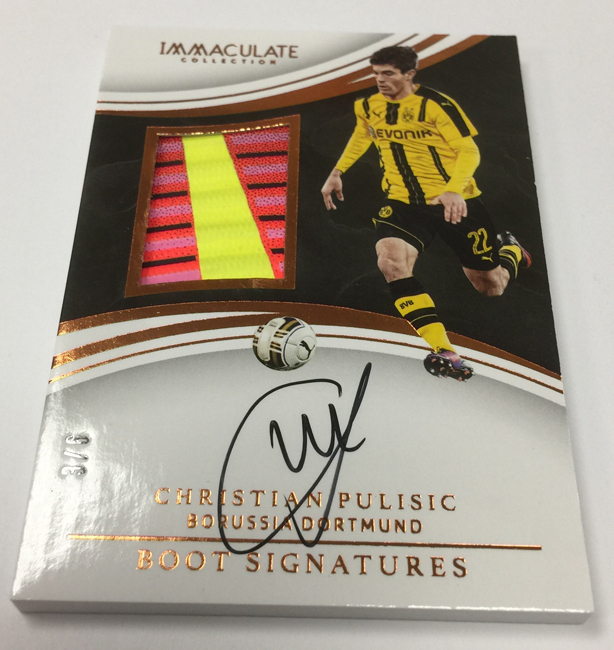 Be on the hunt for the rare Team Tag Autographs that showcase special team-specific swatches from Christian Pulisic, Cristiano Ronaldo, Anthony Martial, Giovani dos Santos and many more! 3. The first on-card autographs from legends such as Diego Maradona, Ryan Giggs, Javier Zanetti, David Seaman, Carles Puyol, Freddie Ljungberg, Ruud van Nistelrooy, Andriy Shevchenko and more. 4. Immaculate includes the first autographs from more than 30 players, including up-and-comers Marcus Rashford, Saul and Joshua Kimmich, and veterans Mario Gomez, Javier “Chicharito” Hernandez and Wayne Rooney. 5. A 100-card base set that features Sapphire (numbered to 35), Bronze (numbered to 25), Gold(numbered to 10) and Platinum 1/1 parallels. 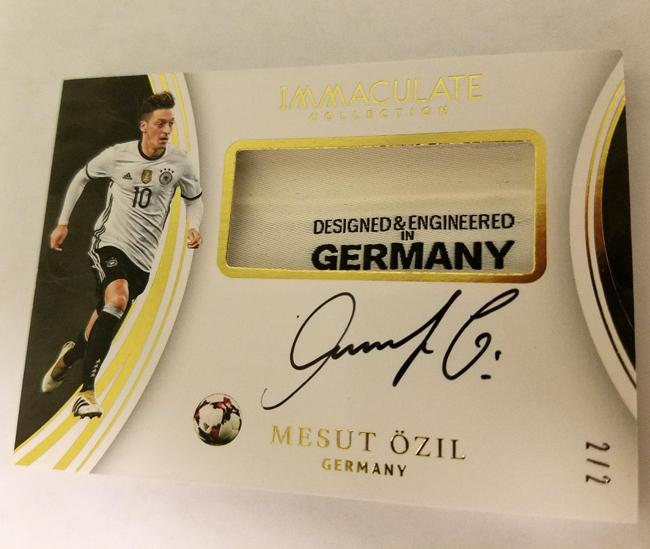 All cards in 2017-18 Immaculate Soccer are numbered to 99 or less.